A well made corset is true to size. A size 30" will measure 30" when closed, a size 22" will measure 22" when closed, etc. 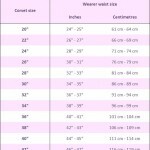 So sticking exclusively to the numbers and the cinch capacity a corset has (4" to 5" cinch for a steel bone and 6" to 7" cinch for a waist trainer), the size chart is your best friend when determining which size to select. 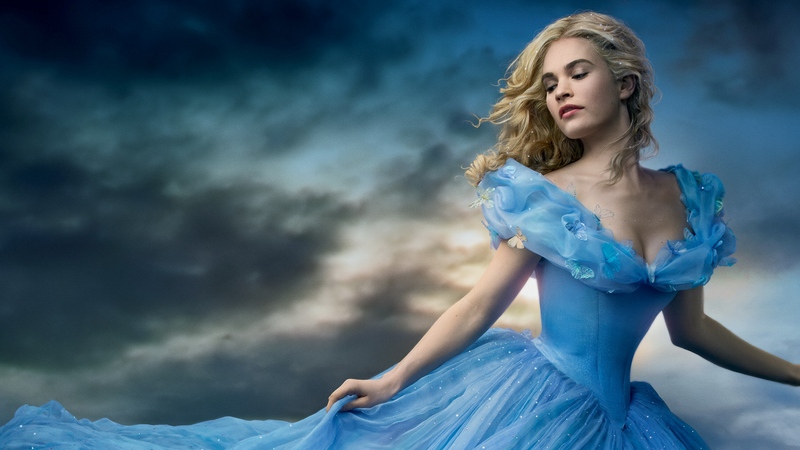 But what about those of us who have measured ourselves, stuck to the chart and still find ourselves with a corset that is either too large or too small? Should we guesstimate which size to request as our exchange? 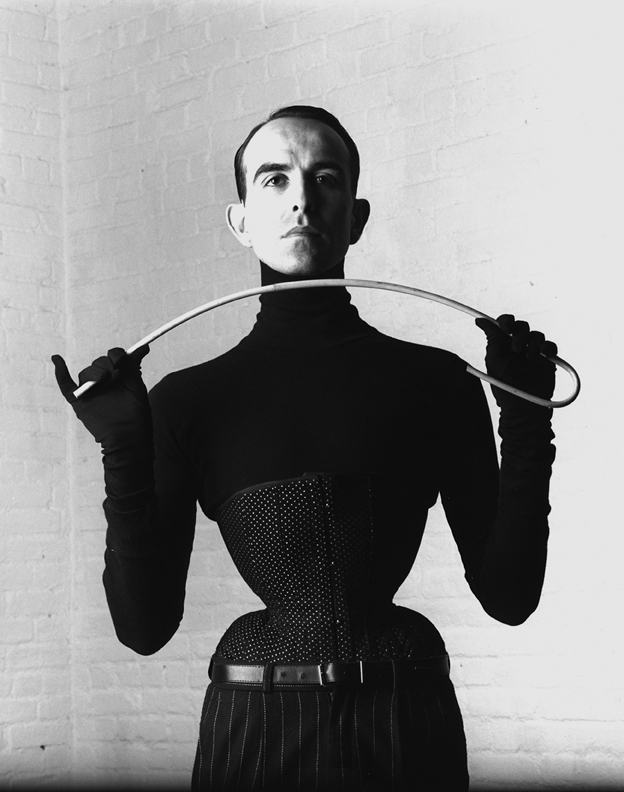 Should we just give up and assume waist training isn't right for us? And by "fully", I mean fully! With the back laces unlaced to their fullest capacity (without untying the bottom knot!) 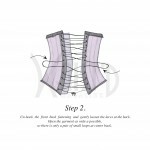 the corset should be able to wrap around your middle with absolutely no difficulty. 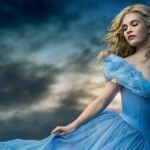 In fact, with the laces fully unlaced, the corset should seem huge and incredibly loose. By either not loosening the laces or only loosening them by 4" to 5", the odds of the corset fitting comfortably about your middle are slim to none unless your corset is far to large for you in the first place. (A) You get overzealous and tighten the corset so much that you find it uncomfortable and there is less than a 2" gap between the 2 back panels. (B) You didn't cinch your corset in enough for fear that you then couldn't return it. Both of these cases won't give you a proper idea of the fit. So when your corset arrives, do be gentle but don't be shy: pull the laces in until there is about a 4" to 5" gap at the back. If you feel like you could still take it in an inch or 2, then you've got the right size. If you can't possibly cinch it anymore, then you should go up a size. So you've got your corset on and it is either too small or too large. Where do you go from here? Measure the gap between the 2 back panels of the corset. Let's say the corset is too large and there is no gap. Can you fit your hand down the front of your corset and still have plenty of room? Then consider going down a size or 2. And if the corset is too small? Then measure the gap at the back and mark it down. Remember that the ideal gap should be 2". What is the difference between your current gap and 2"? Here is an example: you measured your waist at 30" and bought a size 26" steel boned corset, but the gap at the back is 4" and you cannot comfortably tighten the corset any more. Then the difference between your gap of 4" and the ideal gap of 2" would suggest that you should go up by one size to a 28". The size chart is still them way to go when selecting your corset size, but sometimes other factors need to be considered like if you have a bit of squish around your middle (then you could usually afford to go one size smaller than the chart suggests) or if you have a very firm middle with little to no squish (then you'd have to consider a size bigger than the chart suggests). And of course, if ever you have any questions or need further guidance, you can always contact me! This entry was posted in Blog, Corset How To Guide, Waist Training on February 14, 2015 by admin. Why Go With a Waist Trainer? If you've never worn a corset before it is advisable that you begin with a steel boned corset. Steel boned corsets provide a cinch of 4" to 5" which is already a dramatic difference and quite a lot to get accustomed to in terms of the sensation of added tension around the waist. If you've never worn a corset before, the odds that you will find a greater cinch of 6" to 7" which a waist trainer provides is unlikely and since waist training is a regular regimen (either daily or several days out of the week), you don't want to get discouraged because you find it to be "uncomfortable". For what ever the reason (you may be feeling bloated, suffering menstrual cramps, or you just feel like you'd like to give your middle a bit of a break), you will appreciate having a steel boned corset on hand for those days when a waist trainer just feels like too much. Our waist trainers are made with 24 steel bones (spiral and flat), 4 layers of cloth for extra strength, and just those 2 characteristics alone give a True Corset waist trainer the ability to offer maximum cinch. And some days, that can feel like too much so having a steel boned corset handy can keep us on track with our waist training rather than leaving us discouraged ("this is too hard" or "ugh, I've missed a day!"). Fact is that waist training is definitely more of a lifestyle than a quick fix. Aside from the immediate cinch that it can deliver, your waist will return to its natural state within very little time after removing your corset or waist trainer. The results that many people claim to see from waist training have got more to do with the fact that some report feeling fuller faster when wearing their corset or waist trainer during meal times and as a result, they claim to consume fewer calories. Fewer calories consumed generally leads to weight loss. So in brief, you would want to consider going with a waist trainer if you've got some corset wearing experience, you've got another corset handy for those days when a waist trainer feels like too much and you're interested in waist training as more of a long-term goal rather than as a quick fix. This entry was posted in Blog, Corset How To Guide, Waist Training and tagged waist training, Waist Training Corsets, How To Choose The Right Corset Size on January 31, 2015 by admin. You've just received your corset in the mail and you're dying to get it on, right? You tear open the package, take the corset out of its bag, untie the laces and try and wrap it round your waist to see how it fits, yes? Well, here are a few reasons why it is so very important that you take the time to fully loosen your corsets laces before putting it on. It takes very little time to do and can save you numerous inconveniences. Even if you have purchased the perfect size for your needs, you will not be able to get the corset on before you've fully loosened your laces. 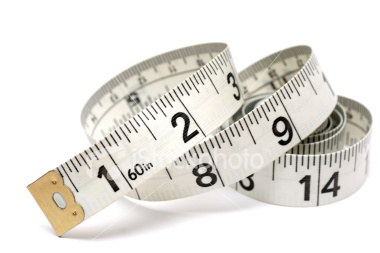 Think about it: a steel boned corset should be in a size 4" to 5" less the measure of your waist and a waist training corset should be 6" to 7" less the measure of your natural waist. 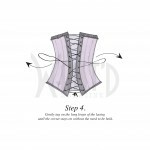 Since the corset is designed to reduce and cinch the waist, there is no logical reason why you should be able to wrap it comfortably round your middle if the cord is not loosened completely. If you've partially loosened your laces and after loads of struggle and strain have managed to get it around your waist, you won't feel comfortable in it. All that effort has almost managed to have you break a sweat, increase your heart and breathing rate and body temperature...not comfortable! If you completely loosen the laces, your corset should not only wrap around your middle with zero difficulty, it should seem absolutely huge on you until you tighten it. 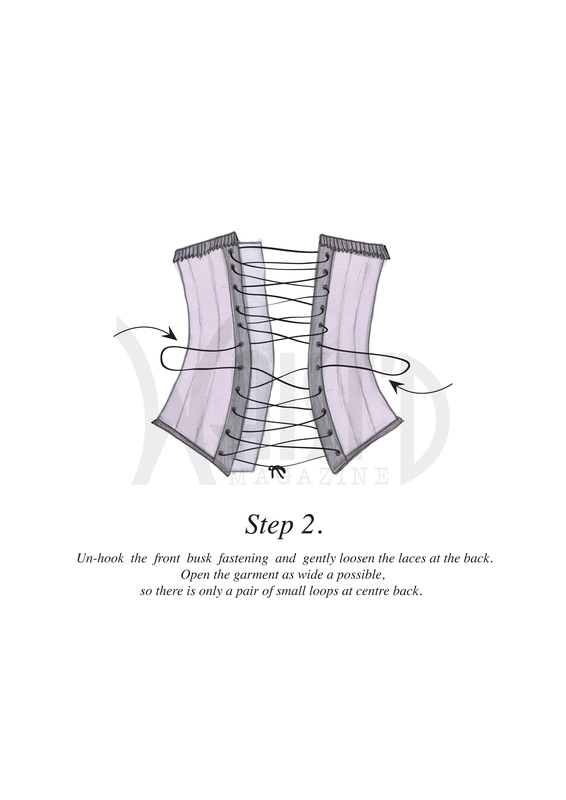 For example, a properly loosened corset should not only fasten with great ease but you should be able to twist it round your middle with almost no friction. If you manage to get your corset on without bending/warping the busk or the bones after not having properly loosened you laces, the odds of achieving the same success when you remove your corset are slim. Loosening your laces is not only important when putting the corset on but almost very important when you've decided its time to remove your corset. The most common thing that will occur if you haven't loosened them enough when trying to take your corset off is that the center hook of your busk will feel like it is completely stuck over its pin and this is where the potential for bending the hook comes in. And there you have it: 3 reasons why it is in your best interest to take just one extra minute to completely loosen your corset's laces before putting it on and when taking it off. This entry was posted in Blog, Corset How To Guide, Waist Training and tagged corset laces, The Right Corset Size on January 24, 2015 by admin.